One of the key drivers of a quality user experience is consistency, which includes the logical coherence and a harmonious uniformity among different parts, pages and screens. Throughout 2016, we have been working hard on the manager and employee interfaces to make sure that users have delightful experiences across the suite, don’t spend a long time finding what they are looking for and without any additional training can learn how to interact and accomplish what they are supposed to do in the product in an efficient way. Moreover, the homepage tour is now accessible by all users. Administrators can create any number of customizable tours for any user to make sure they are familiarized with their new role-based home page and are empowered with what they need to know about the tools and functionalities. It is also possible to configure who can see the tour and when. You can set up the tour to appear during fixed dates or on dates that vary depending on the user, such as a new hire start date. 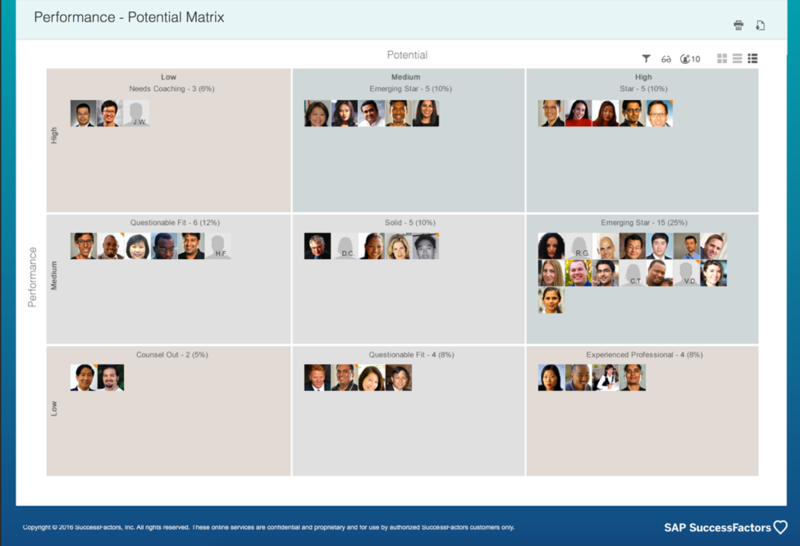 In September, October and November 2016, in 3 different monthly releases for SAP SuccessFactors Mobile, we have delivered multiple new functionalities and enhancements. We have also crushed some bugs and improved the reliability and stability of the mobile application to make sure HR processes are available to all employees, anywhere and anytime. To maximize the user engagement through native and intuitive interactions, we redesigned goals management and continuous performance management in the September 2016 release for both iOS and Android users. Users can view their intuitive list of goals or add new goals, use the coaching, activities, achievements and topics and take continuous performance management to the next level through the simple mobile interfaces. Android users can now enjoy greater simplicity using their mobile applications by logging into the application through the Android fingerprint authentication. Previously, Touch ID was available to only iOS users, and now this feature provides convenience and security to all Android users too. Another pillar that has been enhanced in the recent quarter and has new features and functionalities is Learning. 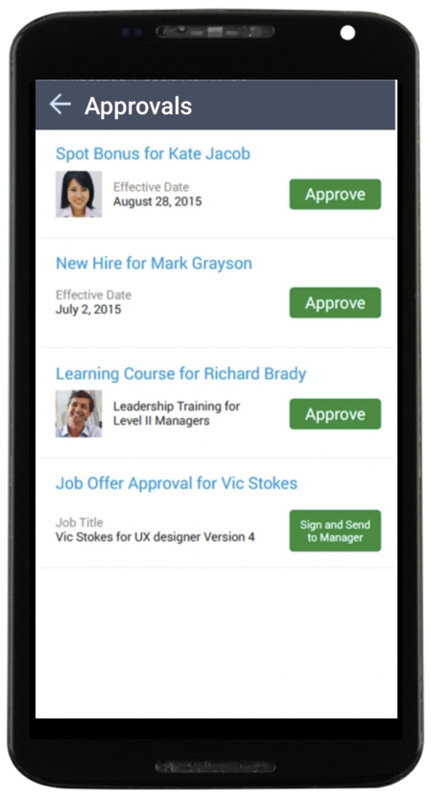 Managers can now view learning requests by their employees on iOS and Android devices and approve them with one tap. It is also possible to extend access to the learning courses to external workforce like contractors and partners. Furthermore, Android users can benefit from the new learning catalog search to find the right courses, assign searched courses to themselves or remove them from the item details screen. 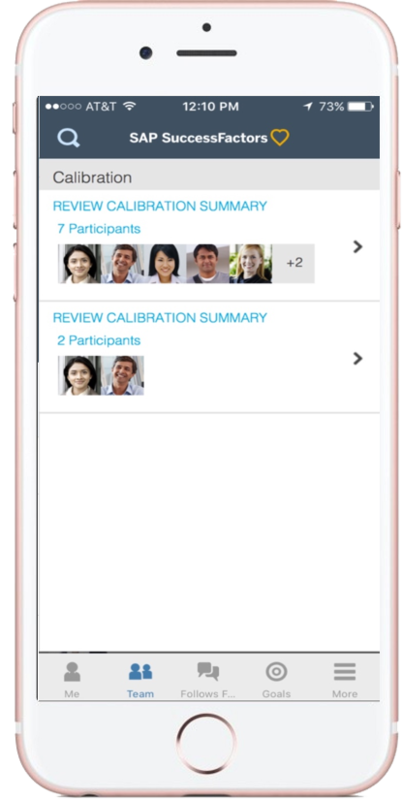 Moreover, in the November release, Calibration summary has become available to the users of SAP SuccessFactors Mobile (iOS and Android). With this capability, managers can prepare for calibration sessions with quick access to the right calibration information and review their team’s performance information, on the go. Calibration summary is admin opt-in and has Home Page V3, Calibration and Intelligent Services (required to capture Calibration Session Activate event) as the prerequisites. Finally, we have updated the supported mobile operations systems so SAP SuccessFactors Mobile on iPhone and iPad now requires iOS 9.0 or higher. Also, the application for Android devices now requires Android operating system 4.4 or higher. Thanks for tuning in! 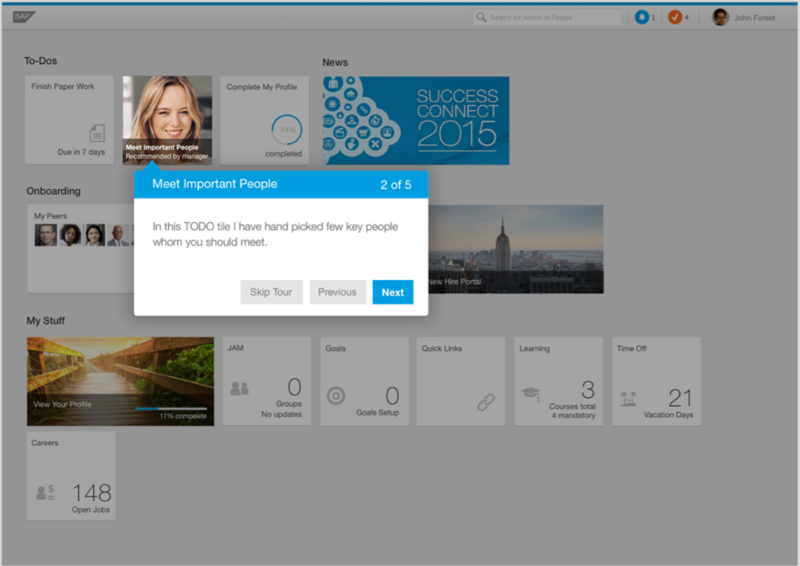 To learn more about UX, Mobile and the other major Q4 updates to the SAP SuccessFactors HCM Suite, check out the release video here and the release highlights blog here. Plus, don’t forget to check out the latest report from Gartner, where SAP SuccessFactors received the highest score in two use cases in the Critical Capabilities Report for Cloud HCM Suites for Large Global Enterprises and European Headquartered Midmarket organizations.